This petition is to gather and show COMMUNITY SUPPORT for the Proposed Ace Basin Speedway which we hope would include a 3/8 or 4/10 mile dirt track, a go-cart track, and a mud-bog pit, a track area for tractor pulls, along with Concessions with some seating and restrooms, and of course, ample stand seating. We believe that with this type of Complex, racing and activities for the family and community can go on almost all year 'round. 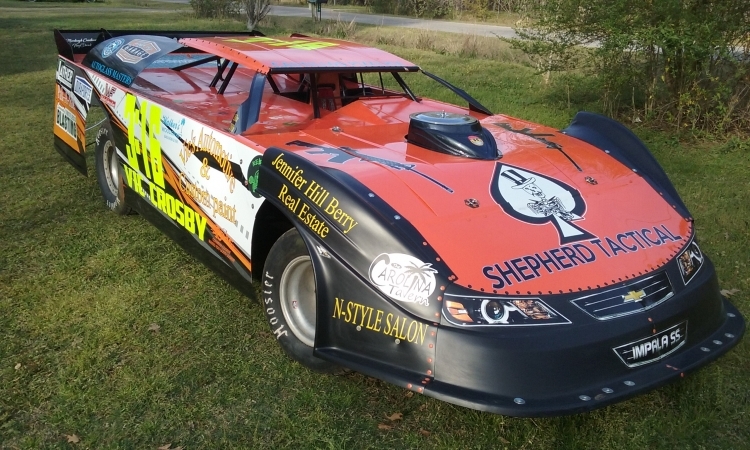 Walterboro is situated in a prime location between Oglethorpe Speedway, Sumter Speedway, and Modoc Speedway. A venue here would not only draw racers from around the state, but also from surrounding states, including Georgia, Florida, North Carolina, and even Virginia. The track would attract different race series, like Pro Stocks and Winged Outlaws, that are certain to draw large crowds! The many different festivals of our area, would also provide a prime opportunity for racing, such as a "Rice Festival 100" or a holding races during the Grits Festival, Shrimp Festival, etc...... An outdoor venue such as this could host fantastic Monster truck shows that enable the trucks to turn loose and show off, where they are restricted at indoor venues. Many people love a mudbog and a good tractor pull. And others would love racing go-carts or souping up their lawn mowers for the lawn mower races on the go-cart track! Then there are the kids' activities......kids can race each other on their tricycles and bicycles, have box car races, race RC cars, participate in candy drops, ride around the track in the race cars WITH the racers (at slow speeds), visit the pits, even race their battery-powered cars! The whole point is FAMILY FUN and FAMILY TIME! Finally, a Speedway Complex will bring JOBS to our community. It will bring BUSINESSES back to our community that we've lost, such as a machine shop, fabrication shops, specialty race parts, and new restaurants and hotels to handle the people coming in to see the events....people that will be SHOPPING and SPENDING their money in our town. If we can garner support to convince Colleton County Council to construct this multi-faceted park, it will reap the benefits and make money to put MORE family oriented activities in our town....the things families can enjoy such as putt-putt and water pads and maybe even a YMCA. Thanks for your input! We, the undersigned, support the construction of a multi-faceted Speedway Complex in Colleton County in order to bring family entertainment to our area in the form of dirt track racing, tractor pulls, mog bog, monster truck show, car shows, concerts, cook-offs, and more. The construction of this complex will bring jobs to our community in many forms, including new businesses, and much needed revenue for our local businesses. Families and their children of all ages will have a place to spend quality time together, while promoting family relationships and education for our children to keep them off our streets. The Petition Colleton County Council: Proposed ACE Basin Speedway petition to Colleton County Council was written by Vic and Nicole Crosby and is in the category City & Town Planning at GoPetition.